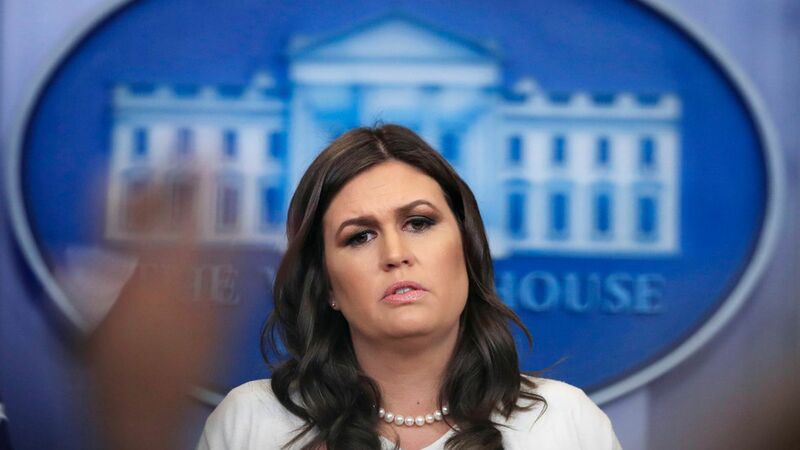 White House: Even if anti-Muslim videos Trump shared are fake, "threat is real"
White House Press Secretary Sarah Sanders told reporters on Wednesday that the question of whether the anti-Muslim videos President Trump retweeted Wednesday morning are real is beside the point because "the threat is real," per CNN. "Whether it is a real video, the threat is real...that is what the President is talking about, that is what the President is focused on is dealing with those real threats, and those are real no matter how you look at it." Why it matters: The videos, originally tweeted from a far-right British account, have brought back criticism of Trump's rhetoric and proposals concerning Muslims. Sanders said she didn't know how the videos got in front of Trump, CNN reports, but that Trump's goal in retweeting them was "to promote strong borders and strong national security." By focusing on if the videos are real or not, reporters are "focusing on the wrong thing," per CNN.